Vastik Mishra: M.S. DHONI: THE UNTOLD STORY MOVIE REVIEW! Here comes, one of my most awaited movies of this year. This movie, took years in making. Waiting since, day one, from when it was announced, as being a big “Cricket” fan also MS Dhoni fan. Yet, it didn’t disappoint. This movie is just brilliant. Director Neeraj Pandey is one the greatest directors working today, also one of my favourites, has done some real good filmmaking. His first movie “A Wednesday” itself was a masterpiece, after that “Special 26” and “Baby”, and now this. I may not be the first to say this, he still has yet not made a “GOOD” film, he has made “GREAT” films. This movie is 3 hour long, but it never feels so, it gets a little slow sometimes at the love story thing, but not for whole lot while, it keeps running fast. Performances: First of all the main limelight of the movie itself, Sushant Singh Rajput, gives his best performance till date, tough his career in movies have just began. He truly captures MS DHONI, weather it is by looks, language, even his style of batting. Anupam Kher is awesome in the movie, as he is in most of the movies. Kiara Advani, she plays the wife of MS DHONI, and as a new actress she was good inaf. 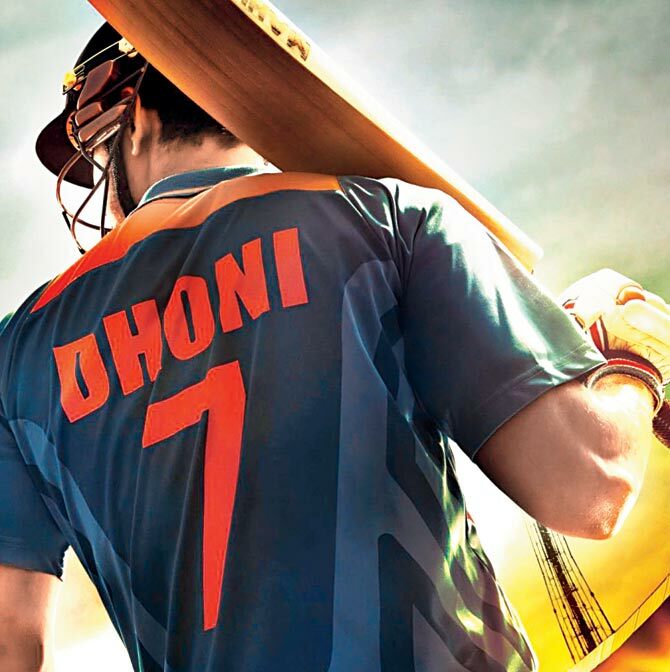 As, I said before I am a big cricket fan, and for sure, this movie gave me goosebumps at point, If you have seen the trailer, you know which scene I’m talking about. 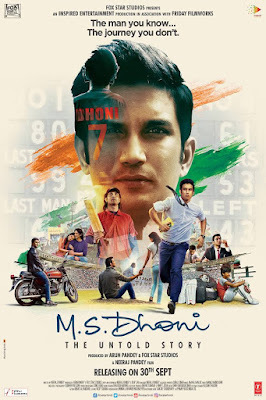 This movie, opened up a lot of things which I knew about MS DHONI, but there were only few of them which I didn’t knew, they should have gone in more detail, in MS DHONI’s career, as the tittle suggests “THE UNTOLD STORY”. But, still it captured his life from childhood to 2011 ICC WORLD CUP well.That’s what it had to do, and couldn’t do it any better. The way they showed the matches in the film was fabulous. One issue, I found with the movie is that they didn’t showed any form of friendship with the other players. They should have showed something about his relationship/friendship with other players, specially Yuvraj Singh etc. Writing is fabulous in the movie. This is a must watch, even if you are not a cricket fan, or neither MS DHONI fan. Even if you’re not a movie lover, you could watch it as a form of entertainment. You, definitely should give this movie a watch. I highly recommend it. probably in top 5. I would definitely watch this movie again this weekend or later.